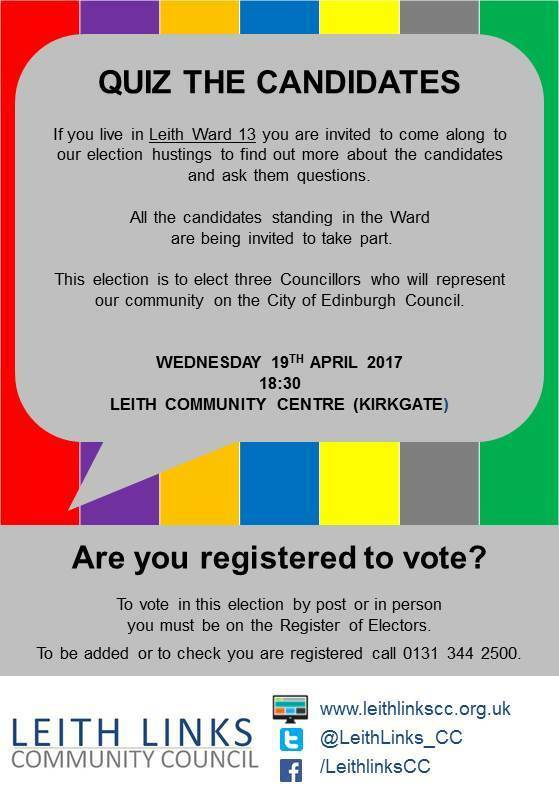 Hustings for Leith ward 13 will be on Wednesday 19th April at Leith Community Centre at 18:30. This entry was posted in Events, Entertainment & What's on, LHNCC area and tagged Edinburgh Council. Bookmark the permalink.